It is with deep regret that we have learned of the passing of Kenneth R Trimble. 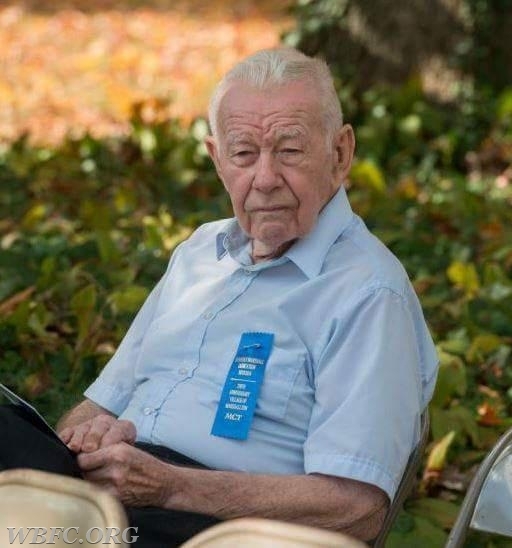 Kenny was a Charter and Life Member of the West Bradford Fire CO and had lived in Marshallton all of his life, living in the house where he was born and raised. 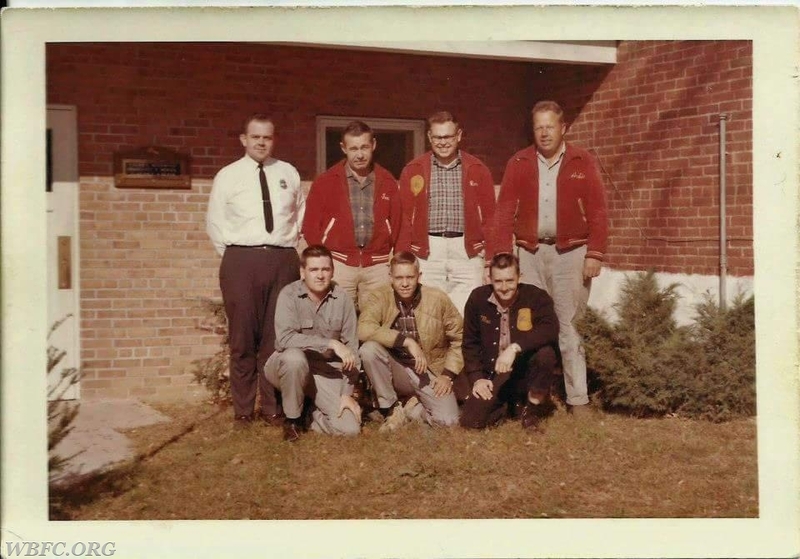 Serving his community in various capacities for the West Bradford Fire Co, long time Scout Master of Boy Scout Troop 52 and serving the in United States Army during the Korean War. Kenny could be found hiking throughout the area, has hiked the Appalachian Trail, and has hiked throughout England, Scotland, Switzerland, Germany and France. He was very interested in the history of the Marshallton and Northbrook areas and was a welcoming sight in the village of Marshallton sitting on his front porch waving to everyone who went by and will be sadly missed by all. Kenneth R Trimble 1930-2018. 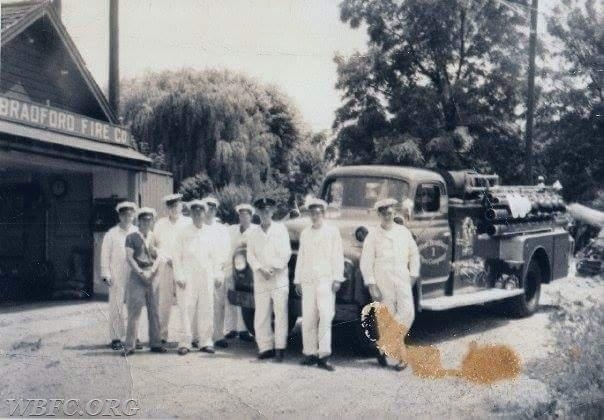 The "Crew" back in the day standing in front of the first fire station in the back alley.